I love how spanish-inspired cuisines captivate me to the core, for its unique taste has conquered my heart and my tastebuds. Now what makes me want to come back for more? 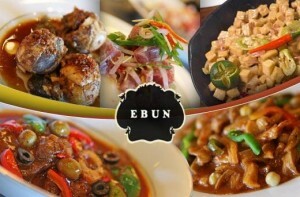 This is my love story between me and Ebun, a cozy, spanish-inspired restaurant located at the SM Mall of Asia. Tucked away from the city's busiest districts, Ebun is a perfect place to dine in and to have fun while enjoying the scenery around the prestigious SM Mall of Asia. I've already went here few months ago and I enjoy the food and the ambience of the whole place. And as for the prices it was an ok for me. Not too pricey, and not too cheap as well. It was a surprise for me to see Ebun having a promo in Metrodeal, one of the prestigious group buying sites around the city. On the deal itself, you can have 1000 pesos worth of food and drinks for only 600 pesos, and I think it's a great catch! I was wondering though, “Why on Metrodeal?” I heard so much about this certain group buying site that offers discounts on everything, mostly on half the price. After reading some of the blog reviews about them I've been skeptical for what they have to offer, for I've been afraid that the site itself is a scam, well let's wait and see to try it out. I purchased 2 deals from them, booked for reservations and proceed to Ebun on my reserved date with my friends. I better try this deal to know better firsthand. 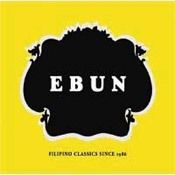 We enjoyed everything from Ebun using that voucher that I bought from them and we all love their entrees, from their yummy appetizers to the main feast to the dinner that they served. Not only did I love the company of friends that I have on that day, but also the amount of food that we ate. Because of the half the price deal from them, we tend to order more food. Oh boy it was a feast to remember!